Regular maintenance keeps your site secure. The Internet is constantly changing and evolving, and WordPress is constantly being updated to keep up with the best standards. So your site needs regular maintenance to keep it running smoothly. 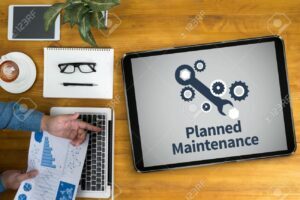 While I try to encourage all of my clients to learn how to maintain their sites themselves, the fact is that maintenance can be time-consuming, and not everyone can or even wants to spend the time on it. My maintenance services ensure your website runs at its optimum performance, with no downtime. *these plans are available with new sites created by Digital Insite. For sites created by other agencies, or for sites that have not been updated in over 6 months, pricing will vary depending on the details. Update all themes and plugins once a month. Terrific technical support! Thank you for teaching me so much M.A! Thank you for your prompt action. Really appreciate the service.